Well, DANC is at it again. 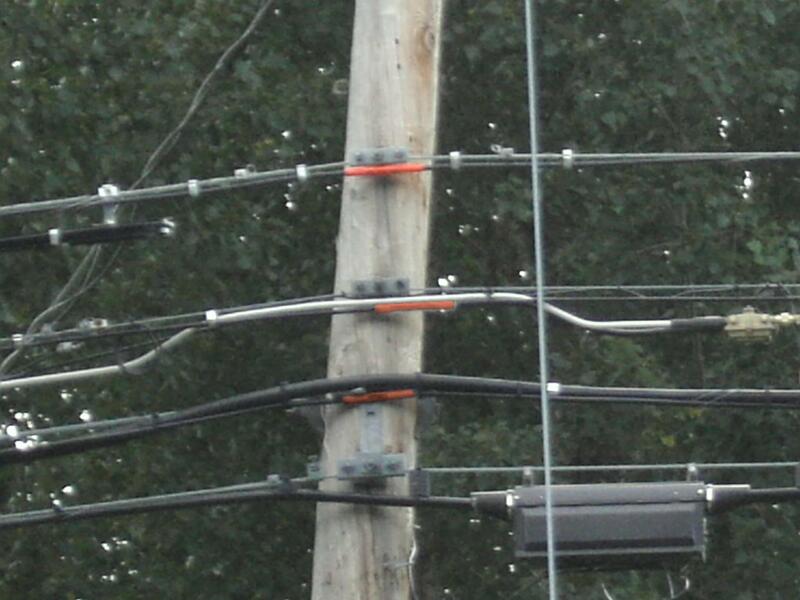 Their fiber loop is now installed and built. They're crowing about having seven customers, so "there must have been unmet demand." That's simply a ridiculous notion. If I take $19 million dollars from the taxpayers of New York, and redistribute it to poor unfortunate companies in the form of subsidized (below-market) telecommunications facilities, of course I would have customers. In addition to the crowing, Tom continues to push his fantasy that there was no fiber optic cable in St. Lawrence County (SLC). Thanks To DANC, SLC will see a huge economic boom due to all the new fiber optic cable. Similar claims were made for railroads when they were built, even though some of them ended up as utter busts. Back in the railroad boom days of the second half of the 1800's, citizens could see if there was a railroad or not. It was rather obvious. It was also obvious if they were getting a railroad, because prior to a railroad being built, local investors were courted with offers to sell stock. Back then, public infrastructure had to be sold to the public through voluntary purchases. These days, DANC is funded through tax dollars taken involuntarily, and it's much easier to fool people about infrastructure. That picture was taken on Rt. 56 a little south of Norwood. The location is not particularly special, I just chose it because I could take a nice photograph. What you're seeing is from top to bottom, the DANC fiber, the Time-Warner fiber, and the Verizon fiber. So much for the idea that there was no fiber in St. Lawrence County. David Sommerstein of NCPR interviewed Tom Sauter. David points out that Verizon and Time-Warner have fiber networks. He asks Tom what's different. Sauter replies " This is an open access network. The other two are proprietary networks there to serve solely the business interests of the company that owns them. 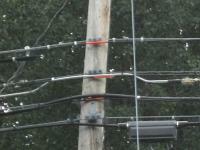 This network is developed to benefit the north country region as a piece of public infrastructure. So there's really a different operating basis. It will support multiple service providers who will compete with each other over the same platform." What Tom is implying is that Time-Warner and Verizon are a duopoly. Neither one has an incentive to lower their rates unless the other one does, because the two cooperate to keep prices up rather than compete for the largest amount of business. The trouble with this theory is the practice that DANC has just demonstrated. All it takes to compete with Time-Warner and Verizon is money. The maximum profit that either one of them can take is limited to the risk that anyone is willing to accept by installing fiber in the north country. Tom is essentially expressing his ignorance of economics, or else hoping to persuade others to be ignorant to advance his own cause. Yes, Verizon and Time-Warner have proprietary networks that they hope to make a profit from. Nobody who owns capital voluntarily gives it away. They will spend it in the hopes of being able to make money on it, or sell it at a profit. Everyone who has money that they're not currently spending quickly figures this out. There is nothing wrong with trying to make a profit, and Tom is trying to personally profit from the DANC fiber by creating a need for his continued employment. Nothing wrong with that, except that Tom is doing this by extorting money from taxpayers. Worse, he's painting his efforts as being better for the public than the profit-seeking behavior of Verizon and Time-Warner. That is essentially an anti-market idea, and one that I think is bad for the interests of the public that Tom claims to uphold.